Learn more about our staff and philosophies! 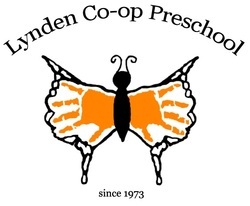 Lynden Co-op Preschool is a not-for-profit, parent cooperative school for children ages 18 months to six years. At Lynden Co-op, the parents serve as administrators and staff of the school. Our teacher plans the curriculum and guides the parents working in the classroom. A facilitator is provided by Whatcom Community College who offers professional support for the teachers and families, trains new board members, and leads the parent education program. Our curriculum is developmentally appropriate to support young children’s learning. Through active involvement with their environment, children learn to make sense of the world around them. Our role is to create a community within our classroom that invites children to observe, to be active, to make choices, and to experiment. ■Building lifelong friendships for you and your child. Many former students return with their own children! Our Teacher, Lynda Hicks, has been with Lynden Co-op Preschool for the past nineteen years. Lynda started her career with a degree in Education from Western Washington University and taught elementary school locally. After having children, Lynda took a break from teaching to raise her kids. That's when she found Lynden Co-op Preschool. Lynda started here as a parent and we feel very fortunate that she has stayed on as our teacher since then. She touches the lives of both parents and children in a unique and special way. Because of her education and experience, Lynda is able to really understand each child and find ways to help them discover the joy in learning. One of her greatest gifts that she brings to our classroom is the ability to truly connect with each child at their level. Her true love of children and teaching is reflected in the devotion that both kids and parents feel towards her. You! The lifeblood of a great co-op is great families! When you participate in the classroom and attend regular education meetings you are enriching your life and demonstrating to your children that you value education. The children love to have helpers in the classroom and you get to see exactly what goes on day to day. In our experience, it is always worth the effort! While we are grateful to our hosts at United Methodist Church we are not affiliated with any faith or denomination.